Return flights from Amsterdam to Hawaii from €318! Return flights from Europe to Bolivia from €640! This British Airways promotional sale is valid for bookings made till 21st of September 2016 or until sold out / fixed. Look for flights in travel period till 13th of December 2016 then from January till 21st of June 2017. Max stay 3 months. Please refer to below booking sample to beautiful Hawaii from each of European origins. All above cities are easily reachable from other European cities by many low-cost airlines. We recommend to use service of Skyscanner to quickly find out which low-cost airline is connected from your hometown. To book your accommodation in Honolulu you may consider service of Hotels.com or Venere. 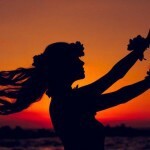 Booking sample of cheap return flights from Amsterdam to Hawaii from €318! In this case you would be departing from The Netherlands to Honolulu on 31st of October 2016. Your return flight from exotic Hawaii back to Europe would be on 14th of November 2016.